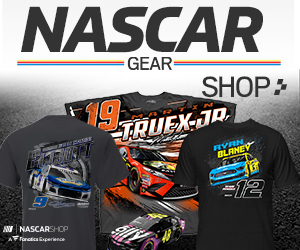 Saturday’s Kansas Lottery 300 may have been the opening race in the Round of 8 of the NASCAR Xfinity Series Playoff, but the real drama involved two Joe Gibbs Racing teammates outside the championship battle. 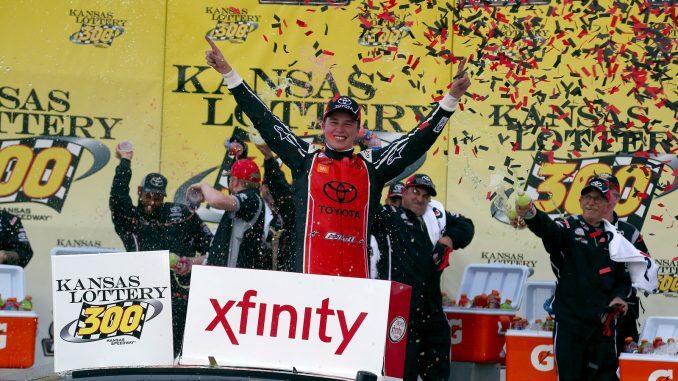 On Lap 197 of 200 at Kansas Speedway, Christopher Bell caught and passed Erik Jones for the lead, clearing Jones’ No. 20 Joe Gibbs Racing Toyota with a slide job and drifting up to the outside wall right in front of his JGR teammate. Under a full head of steam, Jones plowed into the back of Bell’s No. 18 Joe Gibbs Racing Toyota, wrecking the No. 20 Camry, which slowed markedly and finished 15th, a lap down. Bell took the checkered flag with polesitter Tyler Reddick and some hard feelings on Jones’ part in his wake. “A tire came apart—I don’t know whether I ran over something or not,” said Sadler, who turned sideways in the path of oncoming traffic. Eventual sixth-place finisher Austin Dillon did a masterful job of avoiding Sadler’s spinning car. “I gave ‘em a big target, but nobody hit us,” a relieved Sadler said after the race. Beyond the top three Playoff positions, little was decided. With two races left in the Round of 8, there’s an eight-point gap between fourth-place Brennan Poole, who ran 12th on Saturday, and eighth-place Cole Custer, who brought his No. 00 Stewart-Haas Racing Ford to pit road with two laps left because of a cut tire and finished 19th, two laps down.